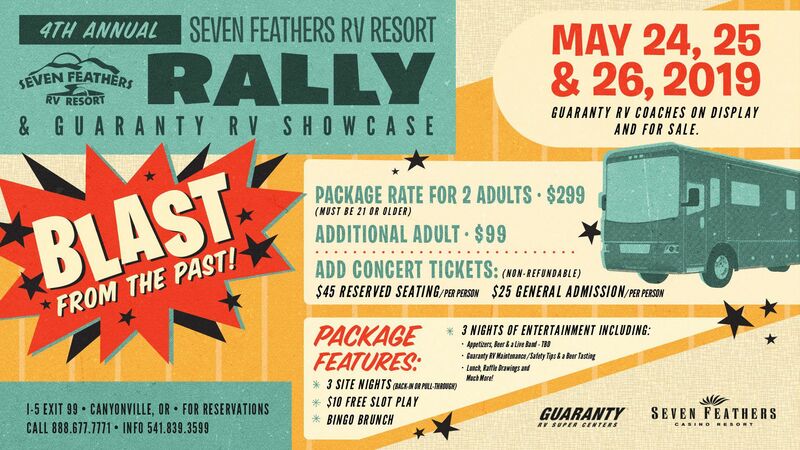 Seven Feathers RV Resort resort is situated on 23 acres of manicured lawns and lush landscaping. All sites have level, concrete pads and aggregate patios. Whether you choose to relax on your patio, enjoy the heated pool and hot tub, work out in the fitness room, read or use the computer in the Library/Media room, shop in the Gift Boutique, meet friends in the Gathering Room or indulge in the night life of the Seven Feathers Casino-- you will have the experience of a lifetime at Seven Feathers RV Resort. "This is the standard by which all other RV parks are measured. Clean, pretty, 24-hour shuttle (pick up and drop off at your site!) anywhere in town, great people. Fabulous! And I'm an RV park snob - so if I say it's great, it's really really great!" 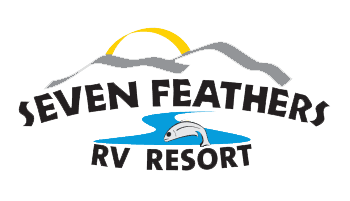 "My husband and I haven't stopped raving about our stay at the Seven Feathers RV Resort. It is the most beautiful park we have ever seen. The people are so kind and very helpful. The food in the hotel was excellent." "I have been motorhoming for over ten years and have yet to stay at a resort for this little amount of money with such great service and beautiful, clean sites. I highly recommend this resort for anyone going through Oregon on the I-5 corridor. fab!!!!!!"